Formerly the Lahore Medical College, one of the first medical college and dispensary in the South Asia that thrived and built itself slowly and steadily for around 156 years as of 2016, King Edward Medical University hosts bests teachers and probably the best students of Pakistan. Lahore has the privilege to house such a historical and tremendous educational institute. Its academic history dates back from 1883 when the first proper building was erected for educational purposes. The Lahore Medical College was renamed as King Edward Medical College in 1911. The main reason behind centuries-old contribution is to provide Pakistan a safer future with robust and vigilant doctors for the best healthcare system to practice. The discipline, teaching standards, the professionalism and interest of teachers and students in shaping the futures, and the toughest merit keeps them all motivated and attentive. For any pre-medical student, it is a life’s dream to enroll in KEMU. Today Senior Care issues is enrolling in all over the world, especially in the United States of America and other European countries senior care has become an issue. A lot of assisted living centers there in USA, but its hard to choose best from them. Stacys Helping Hand, Inc www.stacyshelpinghand.com help families to find the place for their seniors in Denver metro area and surrounding. They initial free consultation to find best for their loves one’s. King Edward Medical University offers graduate, undergraduate, nursing, pharmacy, and para-medical courses to its students. The eligibility criteria vary from course to course, for some courses it is metric or equivalent, where for the senior level courses and postgraduate ones, you must be a recognized doctor to be enrolled. The standard MBBS and BDS courses are of five years length with a KEMU doctorate; KEMU offers technical and nursing courses in dental and clinical health care. 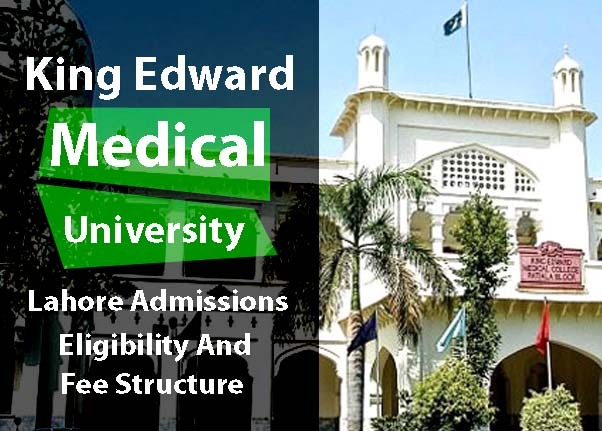 King Edward Medical University houses a vast area greater than any other Medical College in Pakistan; it resides scores of departments; it is an independent degree awarding body as awarded by the government of Pakistan in 2005. It enrolls thousands of students every year with hundreds of courses, the degree from Edward University is the most valuable in Pakistan. All the basic science departments are fully functional and equipped with modern and sophisticated machinery. The students of MBBS, BSc. Nursingand B.Sc (Honors) Medical Technologist are eligible to practice the labs. In Pakistan, the largest affiliation with any University or Educational Institute to hospitals, schools, colleges, and Medical centres is of King Edward Medical College. One of the oldest and largest teaching and general hospitals of Lahore and affiliated with KEMU. Mayo Hospital Lahore, a 600-bed oldest hospital of Lahore serves as teaching hospital for the students of KEMU; the students are provided best house jobs and health care practice in handling unique and challenging medical cases in a city such as Lahore. The Lady Willingdon Hospital is the second largest affiliated hospital of King Edward University. The other hospitals for post-graduate, undergraduate, nursing and paramedical staff are Lady Aitchison Hospital, Shahdara Hospital, the Said Mitha Teaching Hospital, and Kot Khawaja Saeed Hospital, Lahore. Among the top research centres affiliated with King Edward Medical University, a MAYO hospital project, Centre For Nuclear Medicine or CENUM, in short, is the leading institute to assist and get support from KEMU, Lahore. Dr. Muhammad Naeem is the head of CENUM; the Institute performs scanning of bones, thyroids, Livers, and HIDA scans with radioisotope techniques. The thyroid and breast care clinics are the most developed and flourished projects of CENUM. The Convalescent Centre, College of Ophthalmology and Allied Vision Sciences(COAVS), School of Nursing, Lahore, School of Orthopaedic Technology, School of Paramedical, and School of Physiotherapy are some of the leading projects of KEMU. King Edward Medical University offers admissions in more than 100 different courses from matric level short diplomas for technicians to Ph.D. Level degrees programs. Only students from thefederal territory and Punjab are eligible to apply for admission in KEMU, Lahore. The all important MBBS and BDS admission dates are announced once the FSc. pre-engineering exams are finished in all the educational boards of Punjab and Federal areas. The combined entrance tests for medical colleges are conducted under UHS in the first week of October or the last week of August. Students are advised to collect all of their documents attested from magistrate or grade officer before the last date of admission. The first merit list is uploadedto the official website of UHS on 30th October every year. the selected students must submit all the information and document along with the fee to secure a seat otherwise the seat must be allotted to the waiting candidate. The commencement of MBBS classes from 16 November and for BDS students, the classes are started from 21st December. The M.Phil admissions in KEMU start on 9th February every year; entrance test is held in March, and the merit lists are displayed on 14th and 24th March. The classes begin in April every year. The admissions for supporting technical and scientific courses including Medical Imaging, Dental, Speech and hearing sciences, and medical laboratory diplomas admissions start from 10th November annually; the students have to pay a bank receipt to secure their names in the merit and admissions lists. The merit lists start uploading from 10thDecember, and the commencement of classes begin in February of every Month. The 5-year DPT programs start their classes in February with the same schedule as technical courses. The Ph.D. Admission dates for 2016-2017 in basic and clinical sciences start from August 10. The entriesare made according to the previous percentage of students and a written paper in conducted before finalization of merit lists. The entrance tests are held every September at King Edward Medical University, Lahore. The students must buy a challan of Rs. 6000 from the Admissions office before applying. The standard entrance test pattern and marks structure of King Edward Medical University are almost same for all the masters and postgraduate disciplines. The total marks are 300, where the viva and interview scoresare separated from written exam. For Doctor of Medicine, M.phil and Ph.D. Students, the video projected chemical exam,comprises of 30 marks, with 20 interview marks. The subjects of assessment for Masters students are Anatomy, Physiology, general medicine, pharmacology, general surgery, biochemistry, and pathology subjects. For MBBS and BDS aspirants, a comprehensive MCAT is held, and the marks by MCAT are considered a medium for merit. For nursing and technical courses with 1-year, 24-month, 4-year, and 5-year duration, the entry tests comprising senior professors prepare multiple Choice Questions and taken by the respective departments and lecturers. HSSC Marks: 40% of the total aggregate. MCAT Marks: 50% of the total aggregate. The minimum aggregate percentage requirement for applying to King Edward Medical University is 82% or above, any students that applied for the lower total is not eligible for merit. PMDC gives the Hafiz-e-Quran applicants exemption in open merit. Twenty marks are added to the total marks fo Hafiz-e-Quran according to the rules of HEC and PMDC. Those students applying for both open merit and reserved seats for deprived areas are given two chances as per rules of Pakistan Medical and Dental Council. The eligibility criteria for Ph.D., MD, MS, and M.Phil programs is a degree in MBBS or 5-year education in related field, the registration validated by Pakistan Medical and Dental Council, and a minimum requirement of a 1-year house job for MBBS Doctors applying for specialization degree. The fee structure for KEMU is quite complicated for different courses. For Pakistani students, the fee structure for MBBS and BDS is defined and imposed by Pakistan Medical and Dental Council to fixed Rs. 600,000 except government universities. The merit and cost of King Edward are both difficult. By adding admission fee, other charges that are to be paid at the time of admission plus the fee for first-year sums up to more than 900,000 in KEMU. For post-graduate courses, the fee structure is lowered as the HEC policies are clear in this regard. With aone-time admission fee of Rs. 6000, the fee for each year is Rs. 80,000 for M.Phil students of King Edward Medical College. For technician courses, the one-time admission fee is Rs. 5000 along with the yearly fee ranging from Rs. 20,000-40,000. The DPT programs have the similar fee structure as technical education. For 2-year BSc. Honors’ and masters degrees, the fee each year is set at fixed Rs. 50,000. As an independent governing body and a self-structures Institute, the first of its kind in Pakistan, King Edward Medical College, and University gives asignificant amount of scholarships and fee reimbursement for all the courses. The board of directors offers the research scholarships for M.Phil and Ph.D. Programs after interviews and proposals. The research scholarships range from $5000 to $50,000 depending on the study area and the volume of research. The academic scholarship for undergraduate students of MBBS and BDS are offered on merit and need-based. The students from tribal areas, less developed areas selected by the university authorities, Gilgit-Baltistan, and Azad Kashmir Students are available that can be wholly or partially funded fee settlement. The fully paid scholarships are awarded to the toppers of the MBBS and BDS programs every year, those students with exceptional grades in their MBBS Annual exams are awarded grants for the next year. King Edward Medical University is also a part of HEC program, so it is eligible for Chief Minister and Prime Minister Laptop Scheme. The school of nursing and technical education departments are given exclusive fee subsidy from university funds. HEC also provides fee deduction programs for first-year MBBS students. Foreign alumni of King Edward Medical University serves in three countries providing educational and financial aid to the King Edward Medical University Lahore students. The alumni arranges and helps in seminars and health conferences around the world of the undergraduates of their former university. There are three Alumni associations, the Alumni Association of North America, United Kingdom, and the rest of the KEMCOLIANS. As a medical university, KEMU is keeping a high pace in information technology. Under KEMCAANA project, the computer labs with genuine and up-to-date software and hardware are present inside the campus. With high-speed internet, the wifi and computer lab are free for all the students with free access to student laptops and PCs in libraries and computer labs. According to KEMCAANA, the free access to WiFi is available at 1000 stations and in 60 departments of King Edward Medical University. The HD video projectors for demonstrations and presentations are available in all the sections of campus.